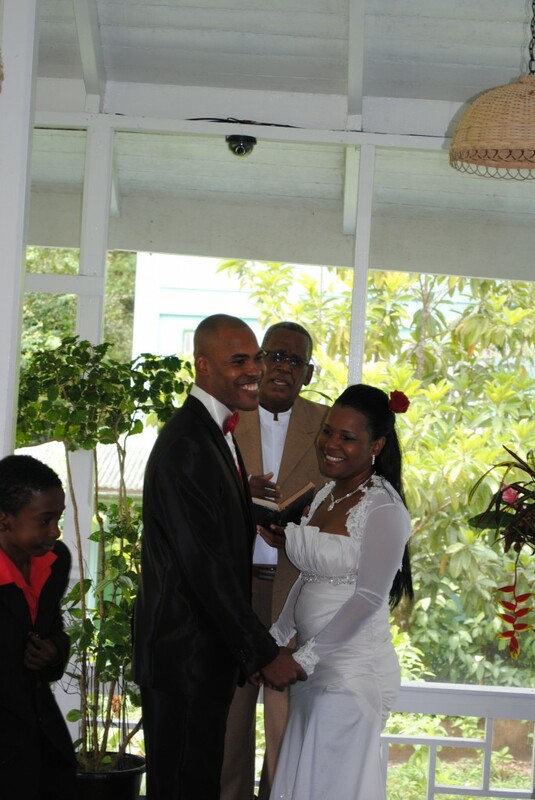 Germaine Hospedales exchanged marriage vows with Joseph Hopkins. 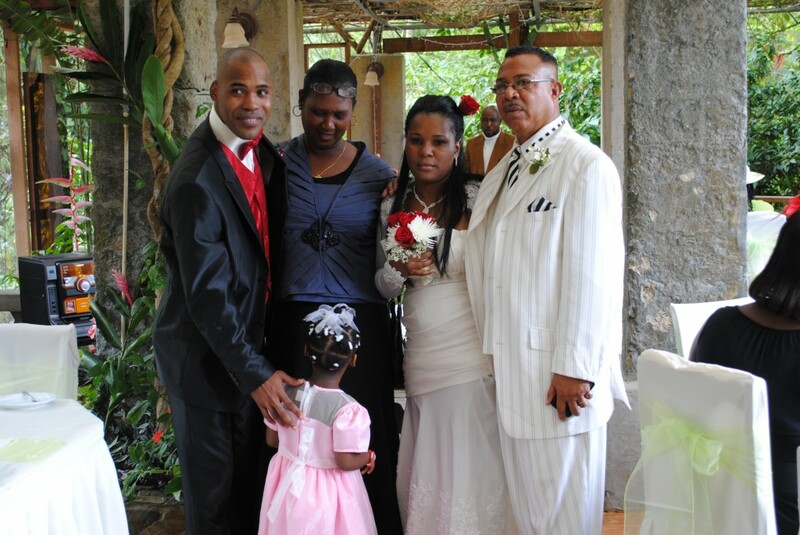 Although it has been a rainy dry season up at Spring Hill, the sun shone through on Wednesday 4th as Germaine Hospedales exchanged marriage vows with Joseph Hopkins. This happy couple had their morning Wedding Ceremony conducted on the beautiful Asa Wright Verandah, with about thirty-five family members and close friends present. Blessed with sunshine and the beautiful panoramic view down the Arima Valley, the formal ceremony then moved out to the beautiful Jade Vine Arbor for the reception. In a setting decorated with the naturally beautiful hanging Jade Vine flowers, and exquisite cut wild flowers from the Spring Hill gardens, the happy couple entertained their guests at a luncheon prepared and served by the Asa Wright Staff. We believe that weddings celebrated at Spring Hill will result in long and happy marriages! We wish Joseph and Germaine every blessing, and hope that they will return to enjoy our setting and hospitality on their future Anniversaries!